PRagmatically Speaking | Maggie Quinn: future PR pro, current PR enthusiast. 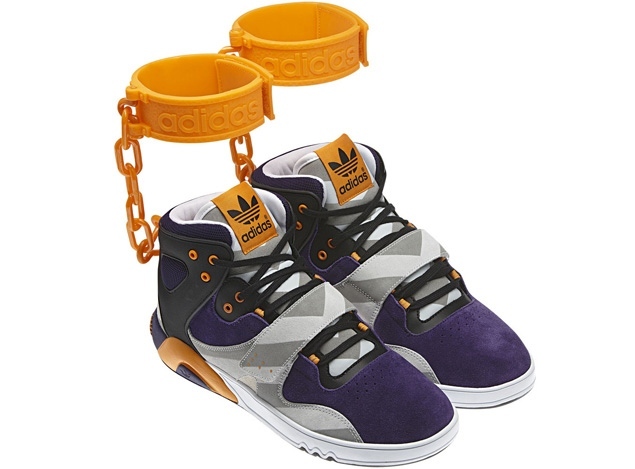 Adidas recently took a serious fashion risk when they unveiled their most recent design, a “shackle” sneaker. The new shoe, created by Beverly Hills resident Jeremy Scott, immediately sparked controversy throughout the country, as many took quick offense to the parallels the design drew to slavery. The internet quickly began to blow up with negative reactions, but offense was not limited to theUnited States. On June 19, 2012 El Mundo, one of the main publications of Spain, published an article regarding the shoe on the front page of their website. In the end, the athletic corporation realized they had one option: to pull the design, lick their wounds and carry on with a more politically correct line. For now. “Show us what makes you proud to be British” sounds like a lovely tweet. 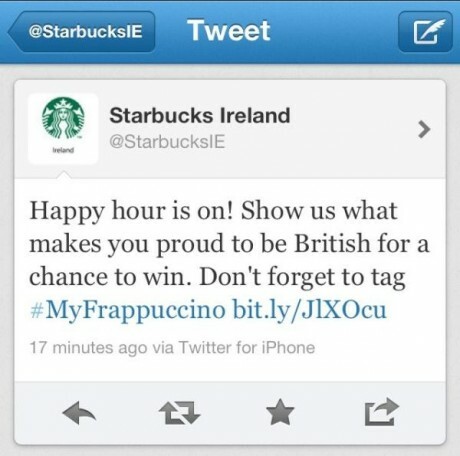 Except when being sent from the @StarbucksIE account, which targets Irish followers. Oh, Starbucks, get with the times. It’s not 1921 anymore… Ireland has been removed from the United Kingdom for way too long for you to be making such a silly mistake. Remember that whole civil war thing– killed thousands of people? Many were civilians? @StarbucksIEthe ie stands forIreland, awaiting the apology before I visit your stores again. @StarbucksIE you are clueless pricks and your coffee tastes like baby formula. We all know that content on the internet is written in permanent ink, not erasable pencil, so to speak. Will this minor mistake affect Starbucks’s bottom line in the future? I will certainly be staying tuned. And a word to all those corporate suits learning the “oh-so-modern” technique of social media: proofreading and research will never go out of style.